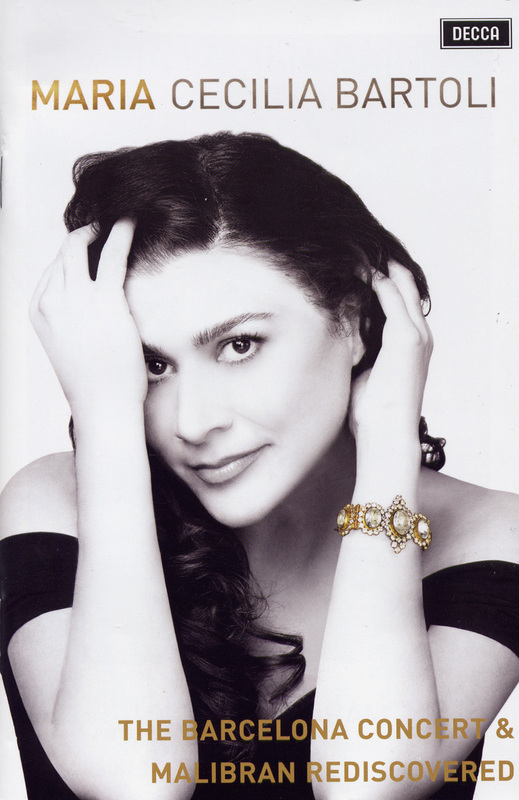 Now twenty years into an exceptional career, the mature Cecilia Bartoli remains a unique artist at the height of her powers. This latest venture focusing on Maria Malibran finds Bartoli in superb form, her charismatic personality as fresh and spontaneous as ever. With her wide-ranging voice and stunning technique, it's natural for Bartoli to gravitate towards the legendary Malibran. As in her previous projects, a tremendous amount of research has gone into this as evidenced by the film included in this release, Malibran Rediscovered – The Romantic Revolution. This documentary gives us a fascinating glimpse into Bartoli the singer, the artist, the scholar, and the person. Like Malibran, Bartoli is the daughter of singers, and both made their debuts as Rosina in Il barbiere di Siviglia – if you don't count Bartoli's Shepherd Boy in Tosca at the age of 8! Her technique, with its remarkable range and incredible flexibility, is said to resemble Malibran’s, though of course no sound record of that exists. The camera captures Bartoli and filmmaker Sturminger to the museums, examining historical documents on Malibran, to a coaching session with Christopher Raeburn, to meetings with Bartoli's remarkable parents, and to Malibran’s grave. Extremely interesting are snippets of Bartoli singing “Casta diva” from Norma; even more amazing is her “Sempre libera” (!) from La traviata, albeit with a B natural in lieu of the interpolated E-flat at the end. The centerpiece of this release is the Barcelona concert, in which Bartoli sings an intriguing program combining rarities of Garcia, Persiani and Hummel with bel canto standards like the Willow Song and Prayer from Rossini's Otello, and “Ah! Non giunge” from Bellini's La sonnambula. (Sadly missing is “Casta diva”) Everything is performed with her unique brand of stupendous technique and singular artistry. The camera work is exemplary throughout, with the possible exception of the grainy, home movie-like short glimpses backstage, but even that has a cinema verité fascination. A desert-island disc that I will return to again and again, this is an absolute “must-have” release, not just for admirers of Cecilia Bartoli but for lovers of great singing.